[SatNews] METEOREX—the world’s largest and most important exhibition in the field of hydrometeorology, hydrology, environmental monitoring and related areas, occurs every few years in different countries. 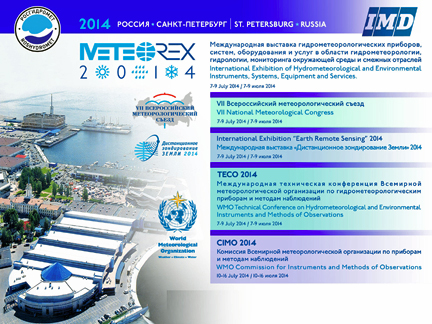 Now, the world’s leading hydrometeorological companies are coming to St. Petersburg, Russia, for METEOREX 2014—already, more than 50 percent of the available exhibition space is reserved. International exhibitors at METEOREX 2014 to date include: Adolf Thies GmbH | Baron Services| Campbell Scientific |China Huayun Meteorological Technology Group Corporation| Cimel Electronique | Degreane-Horizon | DeTect Inc. | Earth Networks | Eigenbrodt | Enterprise Electronics Corporation | Gamic | Geonor | Graw Radiozondes | HMEI | IBL Soft | Intermet Systems | Kipp & Zonen | METEK | Meteo France International | Meteomodem|Meteorage | MicrostepMIS | MPS System| Novimet | Plair | Precis Mecanique | Pulsonic |Radiometrics Corporation| SAGIM | Scintec | Selex Systems Integration | Sommer | Sterela | Sutron | Radiometrics Corporation | Remtech |The Republic Group | R.M. Young | Trimble Navigation| Vaisala | Weather Decision Technologies, Inc. | World Meteorological Organization | Zhuzhou Research & Design Institute, ChemChina Rubber Corp. |Wilh. Lambrecht and more. 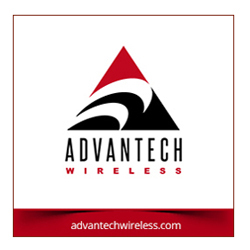 More than 200 exhibitors are expected to attend.